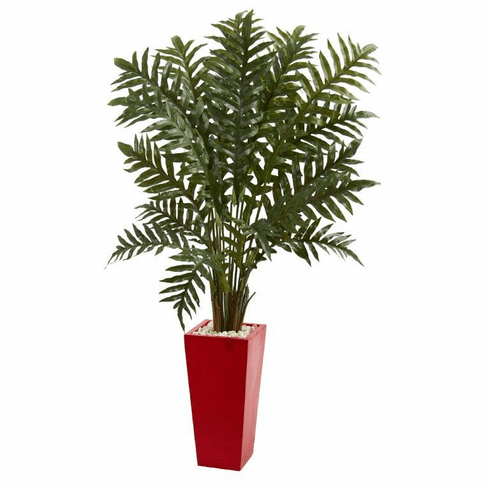 A green, rich, full artificial evergreen plant brings the beauty of a tropical rainforest into your home with lush fronds fanning out above the included red planter. Carefully made to look just like the real thing, confidently place this near your potted faux flowering plants to make the arrangement fuller and more lush. Size (Including Pot) Height: 4.5 Ft., Width: 31 In., Depth: 28 In.